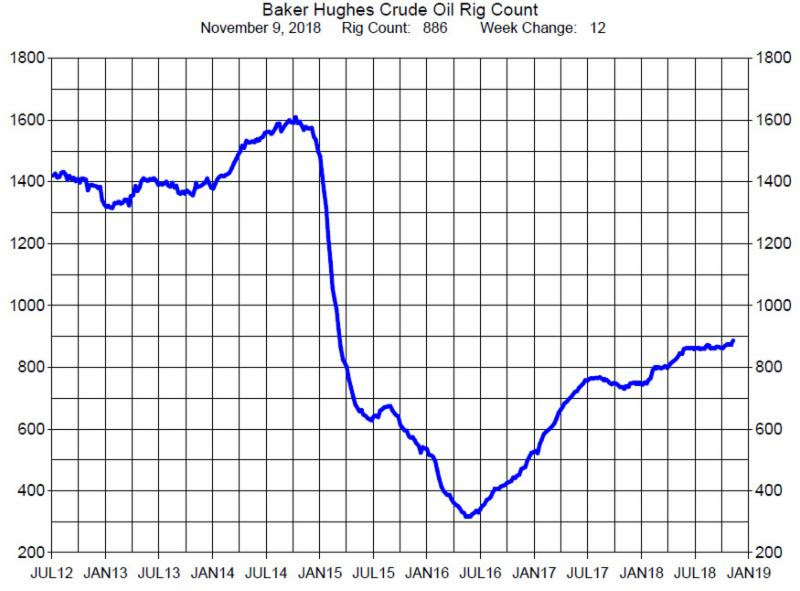 The Baker Hughes rig count report shows U.S. oil rig count increased by 12 to 886. Despite the dramatic drop in crude oil prices, the oil rig count is gradually increasing. With new more efficient technology crude oil production is at a record level of 11.6 million barrels per day. However, should prices drop below $50 per barrel some rigs become unprofitable so at point the rig count will decrease, possibly significantly.